Working outside in the Autumn landscape is magical. You are surrounded and immersed in the experience; the wind, the changes of temperature, the changing light all alter what we see and feel moment by moment. Nature ignores us and continues to grow, regenerate and decay in its circle of life. Making a painting is about celebrating fleeting moments; a distillation of a whole series of coincidences and experiences. Paint itself is extremely versatile and offers the possibilities of creating equivalent sensations to those that we see, hear, taste, smell and feel. Painting is an invention, an ancient and primary form of communication and expression. As an artist you are giving form to your experience of a subject; using the materials, surfaces and marks to create a visual feast. This 3 day course is about how to make studies in the landscape. On Day 1; noticing, selecting, playing and inventing, and then taking these studies back to the studio to make paintings on days 2 & 3. I will demonstrate mark making and new methods of working to creative lots of exercises to unblock and generate the content of the paintings. I will encourage experimentation in order to help students become more articulate and versatile with their handling of oil paints or acrylics to generate their own expressive language of paint. By the end of the course students will have lots of new work, some resolved and some that can be taken away to develop further in their own studios. Emily Ball was born in 1967 in Colchester Essex. She went to Exeter College of Art where she gained a BA in Fine Art Painting in 1989. 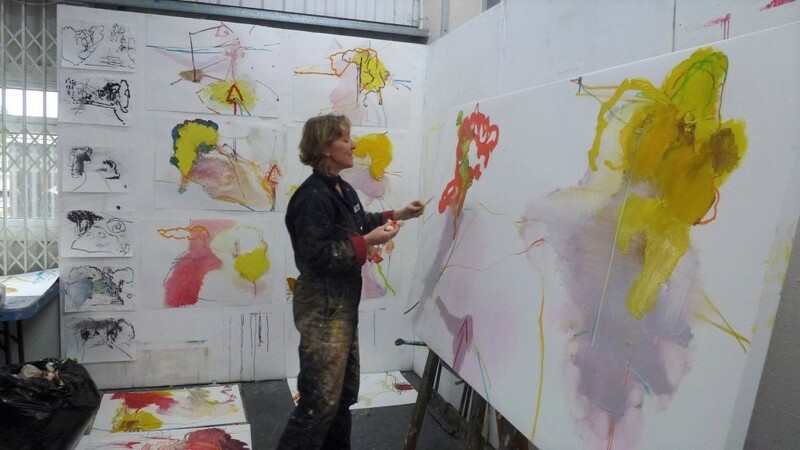 She continued developing her painting, doing residencies, undertaking public commissions and exhibiting in the South East for the next 10 years. Alongside her painting she established privately run courses in Contemporary Painting and Drawing in West Sussex.